"The House That Jay Built"
Condition: In good condition, missing two approximately 1 foot by 7 foot panels originally attached to each side of the work. 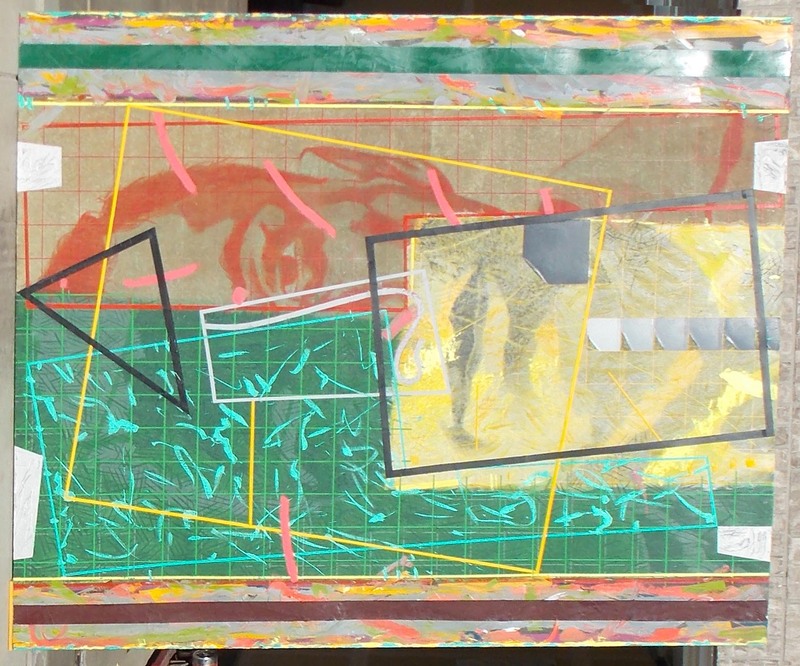 Size: approximately 7 ft by 8 ft. 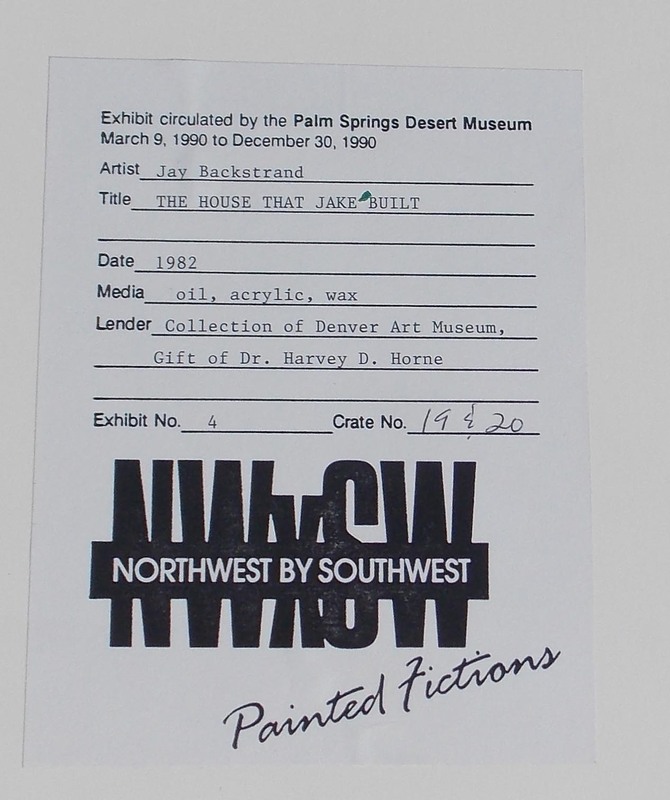 Exhibitions: Work was exhibited on a museum tour circulated March 9 to Dec. 30 1990. Note: Box available for shipping.